Having pushed for extra tax breaks and government funding for R&D-based industries, the UK pharma and biotech sectors will be disappointed with no giveaways in today’s budget. 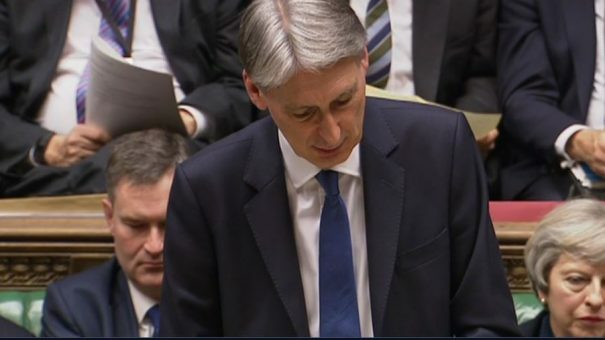 Chancellor Philip Hammond today delivered the government’s financial plans for the year with barely a mention of Brexit, but the spectre of a possible hit to the economy caused by exiting the EU hung over the plan. The uncertainty about the outcome of negotiations set to begin within a month, and leading to exit of the EU in 2019, meant Hammond played his cards cautiously. There had been talk of building up a Brexit ‘war chest’ but no such provision was announced, while a rise in National Insurance (NI) taxes on the self-employed and the planned rise in business rates will add to the Treasury coffers. For the meantime, however, the UK economy has defied all expectations, with the independent Office of Budget Responsibility (OBR) upgrading its forecast for growth this year from 1.4% to 2%. The OBR then expects growth to slow to 1.6% before slowly returning to 2% in 2020. However given the unpredictability of Brexit, and the inaccuracy of economic forecasts in recent years, few are setting too much store by this prediction. This means that Hammond is remaining cautious, and didn’t announce any major new spending or tax reduction plans – including for R&D industries such as life sciences. Hammond had been under pressure to find new funds for the NHS and social care, as well as reconsider the introduction of a very steep rise in business rates. The Chancellor acknowledged concerns about all of these areas with concessions. This included £2 billion extra for social care over three years, and £325 million to help launch the NHS Sustainability and Transformation Plans (STPs). However this extra funding will come with strings, and renewed scrutiny of those areas struggling with patients suffering ‘delayed discharge’ from hospitals. “While there are many excellent examples of best practice around the country, at the other end of the scale, just 24 local authorities are responsible for over half of all delayed discharges to social care,” Hammond told the House of Commons. To tackle this problem, the government says it will identify and support the authorities that are struggling, and ensure more joined up working with the NHS is introduced. Hammond acknowledged this wouldn’t be enough to tackle the huge and growing problem of funding social care for the increasingly ageing population. He announced that the government will set out “its thinking on the options for the future financing” of Social Care in a Green Paper later this year. There had been hopes that the government would announce further tax benefits for R&D intensive industries, as it had launched a review of its policies last November. The existing R&D tax credits system gives small-to-medium-sized enterprises (SMEs) R&D expenditure tax relief as high as 230%. For larger companies get 130%, a very substantial incentive to conduct research in the UK. When it came to it, the Chancellor concluded that its R&D tax credit regime was already “globally competitive”, meaning no further allowances were necessary. The only concession was a pledge to cut the administrative burdens around the scheme. The R&D tax credits system, alongside the Patent Box scheme have helped support life sciences investment in the country. There was also no new funding to support advanced medicines manufacturing. This is an area which the sector believes could be part of a new UK export economy, and one highlighted by ABPI chief executive Mike Thompson in a blog yesterday. Thompson had also called for greater clarity about how the government will help promote the life sciences sector, but the budget was short on such details. The sector will have to await the government’s industrial strategy for life sciences, which has been promised for the springtime. Despite this disappointment, the government did confirm, as expected, a £270 million fund to help the UK take the lead in ‘disruptive technologies’ such as biotech, robotic systems and driverless cars. Hammond also confirmed that plans by his predecessor George Osborne to lower corporation tax to 17% by 2020 would go ahead – making the UK one of the lowest tax regimes in the developed world. Jeremy Corbyn, Labour leader and leader of the Opposition, was given the chance to respond to the budget in the House of Commons. He attacked the government for “utter complacency” about the economy and the state of public services, saying spending cuts continued to undermine living standards in the country. Meanwhile, a lack of funding for the NHS remains a long-term concern for the pharma industry, as the financial crisis in the health service is hitting uptake of new medicines. 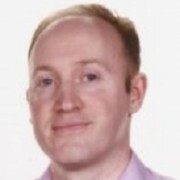 The ABPI’s Mike Thompson responded to the budget by welcoming aspects of the Chancellor’s announcement, but said it was a ‘missed opportunity’ to increase access to treatments developed and discovered in the country for patients in the UK.